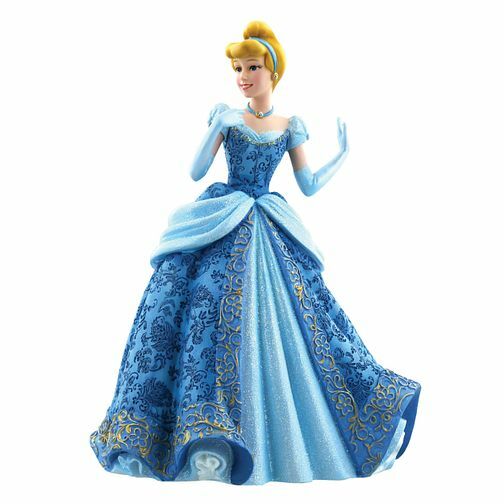 Celebrate the mystery and enchantment of the hit Disney movie Cinderella with this beautifully hand-painted figurine. This will make a delightful gift or addition to your own Disney collection. Crafted in resin. Disney Showcase Cinderella Figurine is rated 5.0 out of 5 by 2. Rated 5 out of 5 by Anonymous from Lovely figurine As an avid collector of Disney figurines I just had to add this gorgeous Cinderella to my collection. The detail on the dress is amazing and the skirts sparkle under the light making it a perfect match to sit opposite the live action Cinderella also available in the Disney showcase collection. Ordered into store and came on time.